Getting the most from exhibiting [he’s at the COSLA conference] ain’t easy and there’s no course on the subject! I know the feeling. I have been that soldier. 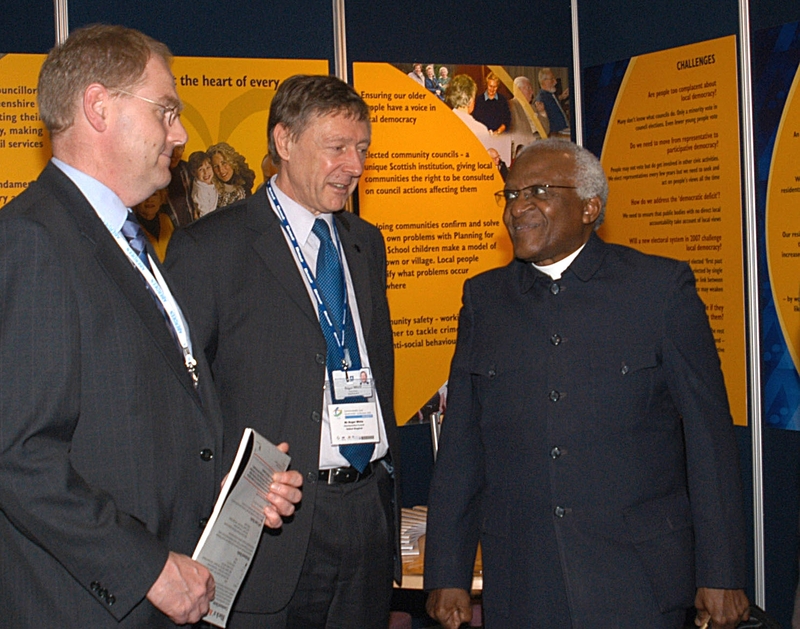 One of the highlights of my local government career was meeting Archbishop Desmond Tutu at the Commonwealth Local Government Conference back in 2005. He gave an inspirational keynote speech and then toured the associated exhibition. He dropped by our council stand and said some kind things. The rest of the three days on the stand was excruciating. Delegates from Malawi, the Bahamas and Mauritius seemed less than fascinated by our economic development brochures. The Briggsian comment led me to pondering the things they don’t tell you at work. The stuff you’re expected to just pick up on the job, or even worse by some strange and unspoken process of osmosis. A classic one in local government is working with councillors. As Dave B said in that other context it ain’t easy. But how many councils actually train their staff in that delicate art? The truth is, the most useful things to know about working with politicians for a hired hand are rarely written down. For example, striking the right balance between formality and informality, when to be more or less formal, and why. One good reason to get it right is that those in power today may not be tomorrow. For all the short term advantage of being on first name terms in public with the cabinet member for topic x today, there’s the pain of trying to build a relationship with his political opponent next year when the balance of power changes and he sees you as his predecessor’s pal. Then there’s the occasional challenge of weaning the predecessor off the dependency relationship they’ve come to enjoy. What was the stuff at work you were never told that could have saved a lot of turmoil and made things easier as you moved on in your career?